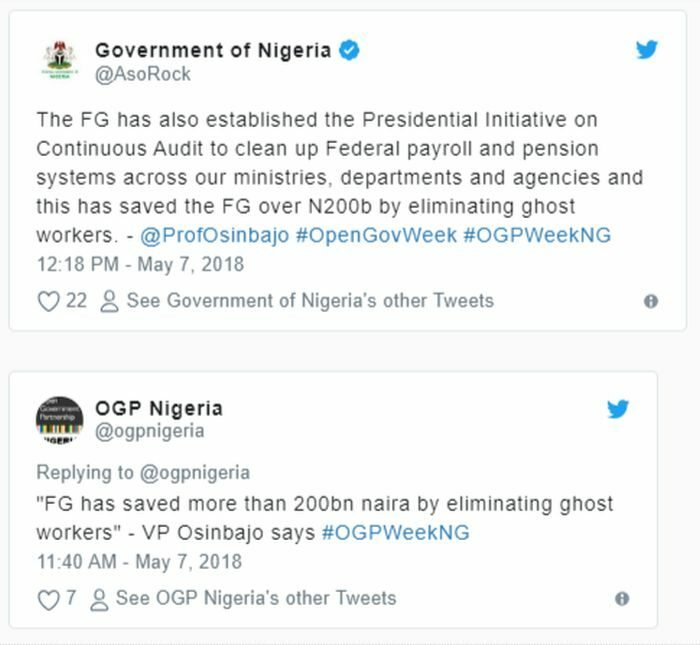 Nigerian government under president Muhammadu Buhari has saved about two hundred billion naira (N2,000,000,000) by eliminating ghost workers from payroll. 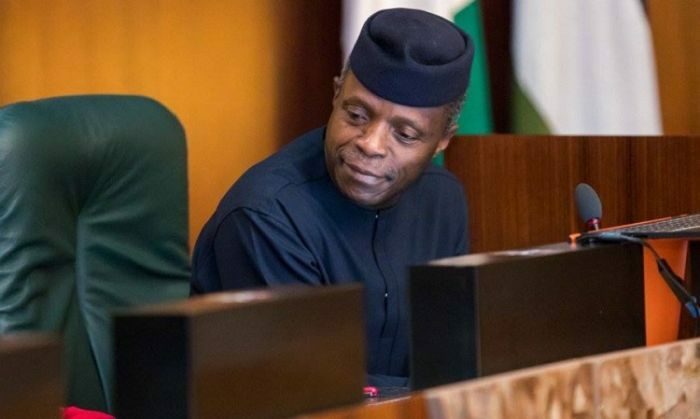 Vice President Yemi Osinbajo revealed this while highlighting governments efforts in cleaning the federal civil service from corrupt practices. A tweet posted on the verified Twitter handle @AsoRock, revealed that Osinbajo said this during his keynote address at the on-going Open Government Week, which started on Monday (today). The VP said the government had put in place the Presidential Initiative on Continuous Audit, which helps to keep a check on the federal payroll and pensions.